Beoordeeld door gasten na hun verblijf bij Brussels apartment. Ruime kamers, vlotte communicatie met host. Eigen keukentje en zelfs wasmachine. Heerlijk om enkele dagen te bekomen. Er lag ook een kaft met info over zowel de accomodatie als de beste eettentjes, winkels etc in de buurt. 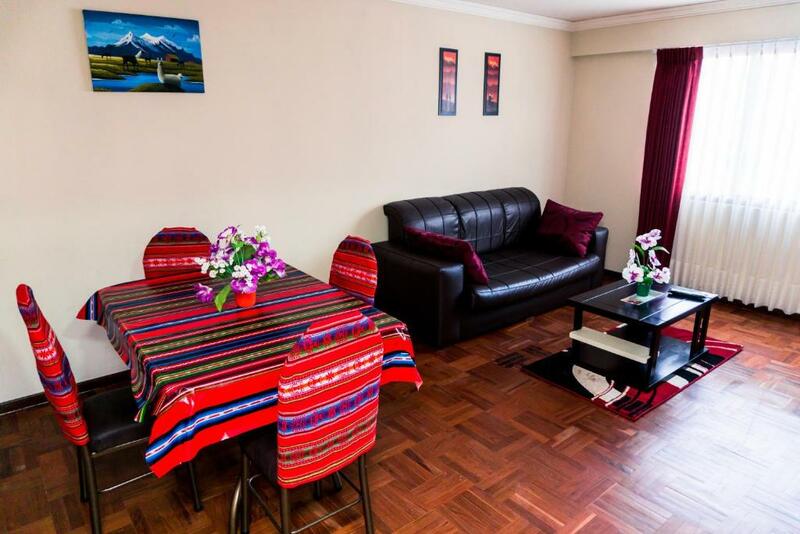 The apartment is very spacious with a well-equipped kitchen. It has even got a TV. The bed is comfy. 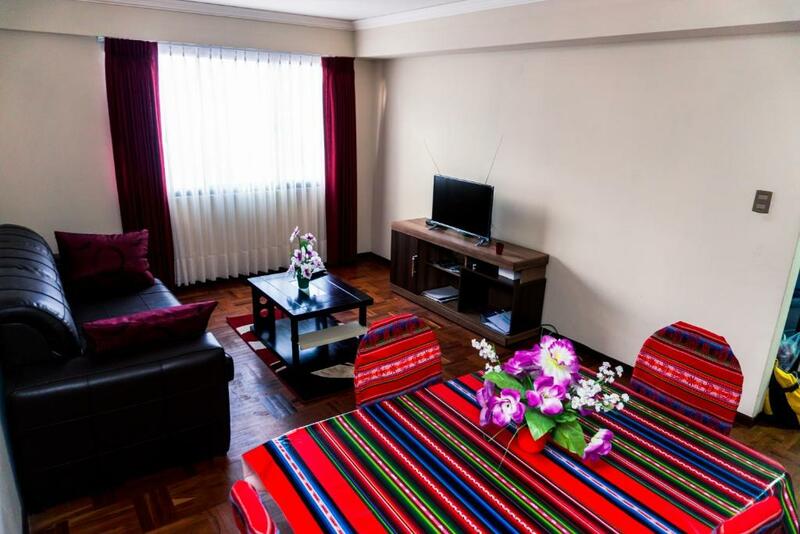 After the Uyuni trip, you definitely need a nice shower and laundry. I love this apartment, which is close to the cable car and viewpoint, as well as supermarkets. The host gave us local tips and he responded to our messages very quickly. WiFi is fast. Hot shower water pressure is pretty good. It is great value for money. Recommend! The apartment is amazing, one of the cleanest places we have stayed in South America. Had Netflix which we could watch. Location close to teleferico. Great value for money. Juan was always available on what's app. Location is near Teleferico station. 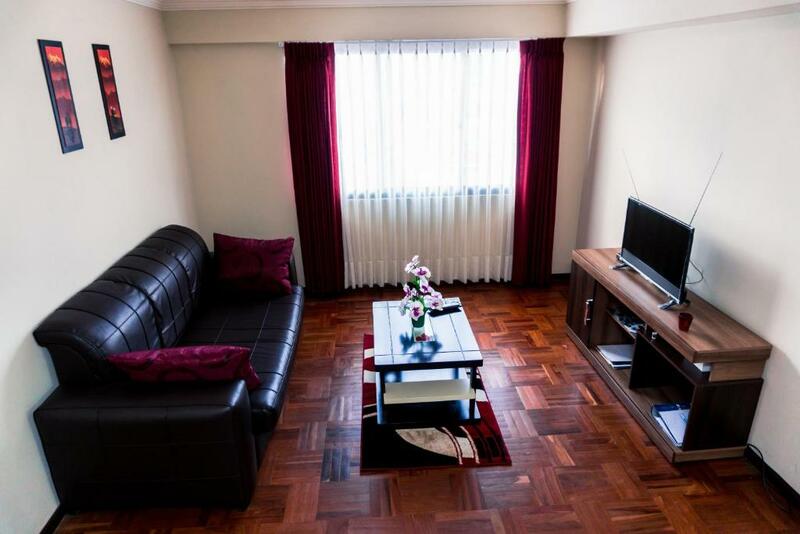 Spacious apartment: equipped kitchen, living room, bedroom, bathroom. There is a concierge. Host very quick to help. Host speaks very good English. Host can organise airport collection. Place is all to yourself. NETFLIX! Washing machine. Excellent written instructions with guides to restaurants,bars,night clubs. Near to cable car station. Plenty of local buses pass by. Radio taxi firm close by. Area is very safe. Large supermarket very close. We stayed here a couple of times in a different (but almost identical) apartment each time. Checkin was easy with the keys available from the building reception. 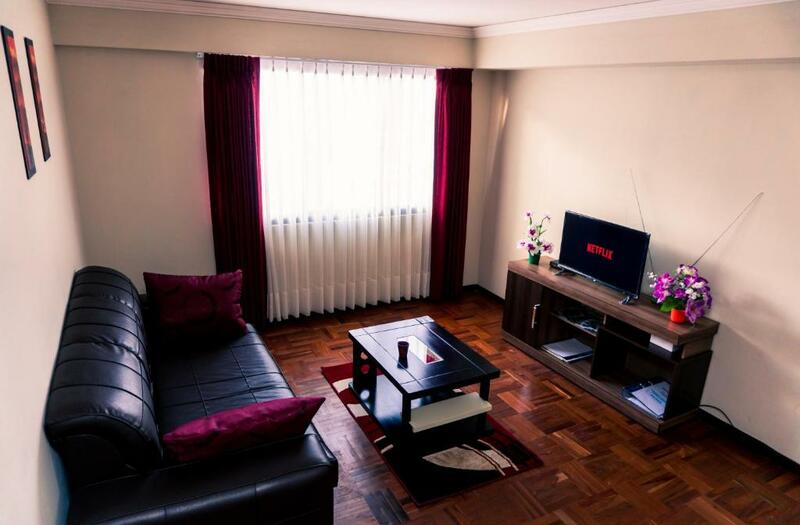 The apartments are very nice, with everything you need for a good stay. We loved the Netflix and well stocked kitchen as well as the luxury of being able to do laundry. 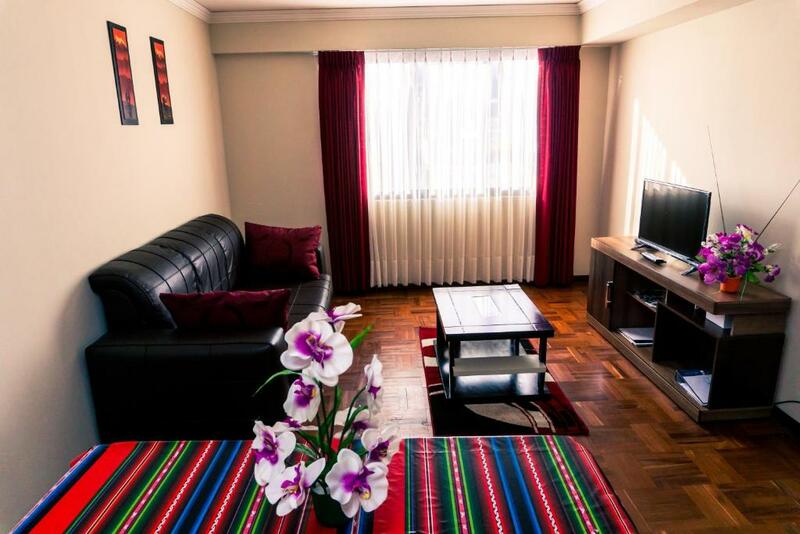 Good location just a couple of minutes from the white teleferico and 10 minutes from market and supermarket. Plenty of eating options close by also. Juanvi was always available to communicate at all times and made the process super easy. The apartment was really clean and comfortable. It was lovely to have a bath and relax away from home. Verzeker uzelf van een geweldige prijs voor Brussels apartment - door recente gasten met een 9,6 beoordeeld. Een van onze bestsellers in La Paz! 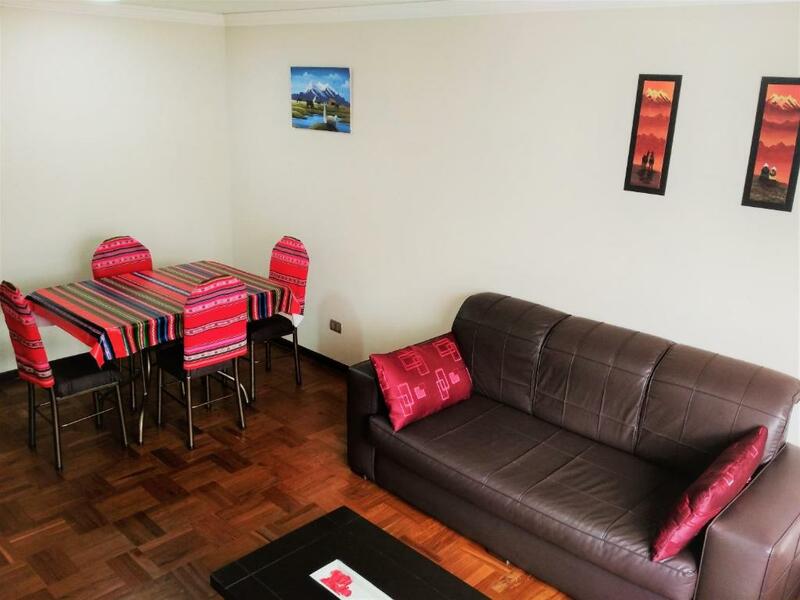 Brussels apartment ligt op 3,3 km van het Sopocachi Teleferico Station en op 3,7 km van het station Libertador Teleferico in La Paz Centro van La Paz. Het biedt accommodatie met een zithoek, een flatscreen-tv en een keuken. Er is gratis WiFi beschikbaar. Een oven en een waterkoker zijn ook aanwezig. U kunt gebruikmaken van een terras. Het station Alto Obrajes ligt op 4,3 km van Brussels apartment, en het station Buenos Aires Teleferico bevindt zich op 5 km afstand. De internationale luchthaven El Alto ligt op 16 km afstand. Brussels apartment verwelkomt gasten van Booking.com sinds 3 jun 2017. Wanneer wilt u verblijven in Brussels apartment? Welcome to Brussels Apartment! We propose you a beautiful and cozy apartment, fully equipped and with the necessary to have a perfect stay in La Paz. It is a 1 bedroom apartment with Internet (WiFI and Ethernet), flat screen TV with HDMI cable so you can connect your laptop to the TV. Also we have a Netflix account for your favorite movies and series. The living room has a sofa, a coffee table and a table with 4 chairs to get lunch and/or work with your laptop. The bedroom has 1 double bed of 1,40m wide. In the bathroom there is a bathtub, sink and toilet with bathroom products (toilet paper, shampoo, soap, etc). The kitchen is equipped with fridge, oven, kettle, kitchen utensils and products (salt, pepper, oil, etc.) There is also a washroom with the washing machine, iron, iron table, clothes dryer and a washingbasin. There is hot water in the whole apartment. We have prepared for you a guidebook in the apartment with nice restaurants, tips on entertainment, ... with a map to locate them . There are also some leaflets and magazines of touristic information and maps of the city. 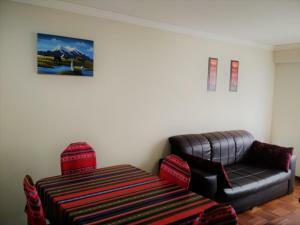 You will also have coca tea in the apartment to face and resist La Paz´s high altitude. The neighborhood is "Miraflores", located in the city center of La Paz. It´s very safe and calm and very close to the touristic spots. There are restaurants, pharmacies, ATMs, a hospital, supermarkets (Fidalga, Ketal), etc. Stadium Hernando Siles, where the Bolivian national football team plays is just 5 min by walk. The Plaza Murillo is just 15 min by walk. Plaza Uyuni is just two blocks away where you can pick up all minibuses to all directions of the city: "Zona Sur", "Prado", "Pérez". In front of the building "Edificio Bruselas", where it is located the apartment, passes the public line of bus "Puma Katari" which connecs to Parque Urbano Central. From Parque Urbano Central departs all the public lines of bus Puma Katari. Also the cable car Teleférico station "Monumento Busch" is just 4 minutes away by walk. Accommodatie-omgeving – Deze buurt is een geweldige keuze voor reizigers die geïnteresseerd zijn in straatmarkten, markten en winkelen – Controleer locatie Uitstekende locatie - toon op kaart Gasten vonden het geweldig om in de omgeving te wandelen! Huisregels Brussels apartment accepteert speciale verzoeken, voeg ze toe bij de volgende stap! Please note: The payment will be made in cash and in the local currency of the country: Bolivianos (BOB) according to the exchange rate on that day.